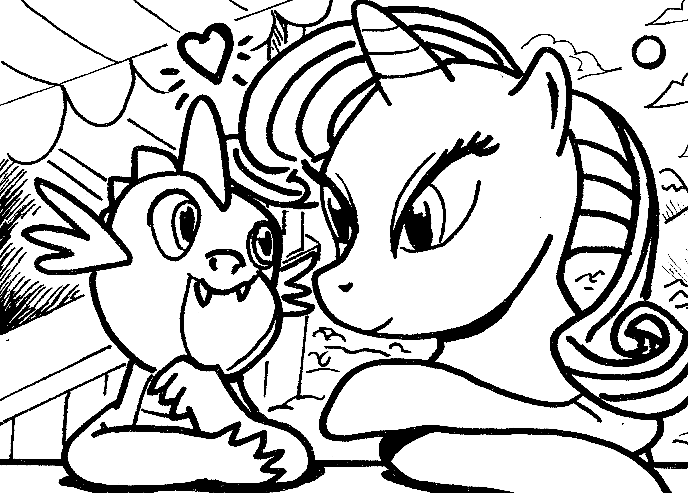 I am not going to lie, despite me never watching My Little Pony: Friendship is Magic, it never fails that I go to a comic convention without at least one My Little Pony commission being asked. To put that into perspective, I rarely hear a request for Spider-Man, Captain America, Superman, and never for the Hulk. However, My Little Pony is consistently being requested of me. That just shows how ubiquitous bronies are. I had to look up some Google reference for Rarity and Spike to draw the picture. At first I googled "Rarity Spike ship" and whoooo-boy did I see some images that I will never unsee. I mean I know people love these characters together, but some of the stuff on the internet is quite....graphic? Exploitative? Inappropriate? Odd? Yeah, lets just say odd and move on.